Digital photos are a huge part of my life and my friends’ lives. A few weeks ago, a photog friend and I were geeking out over F-stops and focal length thanks to my latest camera purchase. As we were snapping photos of tables and chairs inside the restaurant we were lunching in, somehow the discussion moved to the endless digital photos we all have stored in the nebulous cloud. I may take a few hundred photos during a shoot. Once I’ve posted the 10-15 that I love, those photos get archived and typically never seen again. Digital photography revolutionized the industry, making it faster, easier, and less expensive to get quality images. But what do you do with all of those digital photos once they’re shot and transferred to your computer? Even when I purchase my kids’ school or sports photos, or order a handful from my local retailer, they still don’t end up in a picture frame. Time and forgetfulness usually results in those photos taking up residence in an envelope on my desk. I LOVE MASTERPIX™’s beautiful solution for preserving life’s most important moments. 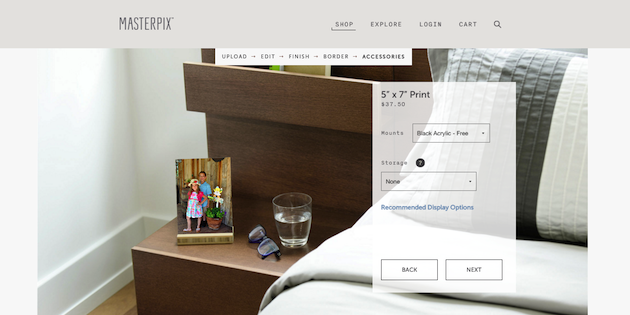 MASTERPIX prints your photos onto thin, durable, clear Corning® Gorilla® Glass. 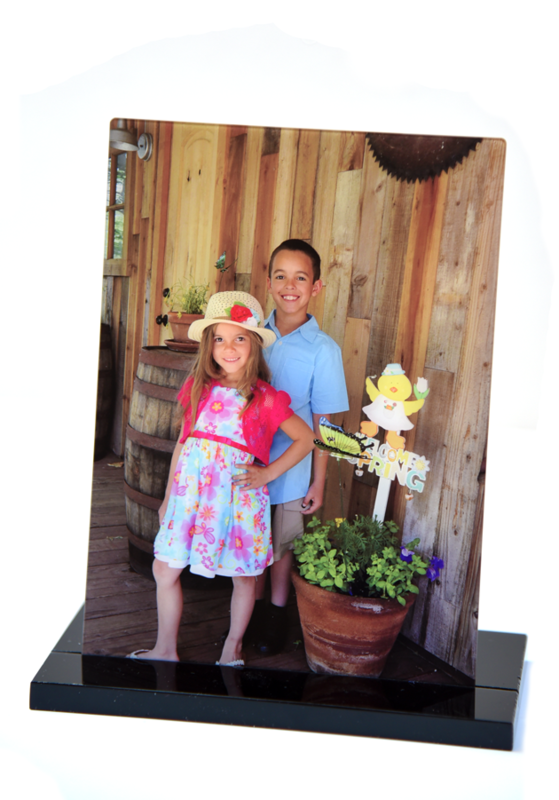 Not only do the images look beautiful, vibrant, and exceptionally clear, the glass they use is durable, scratch and stain-resistant, and easy-to-clean. Unlike printed images, which can fade over time, MASTERPIX uses Corning Gorilla Glass and UV-cured inks for lasting color. I personally love the fact that I don’t need to purchase a frame. I can simply order my print and display it immediately. I decided to showcase one of my favorite Spring photos taken at Irvine Park. 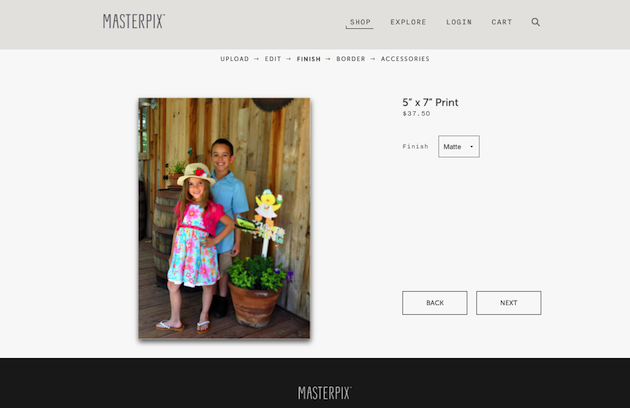 After you have decided on the image you’d like to print, simply create your print directly on MASTERPIX’s website. You can choose from a variety of sizes and layouts or opt for an Instagram collage. I chose a 5″x 7″ vertical print. The online editor is intuitive and easy to use. 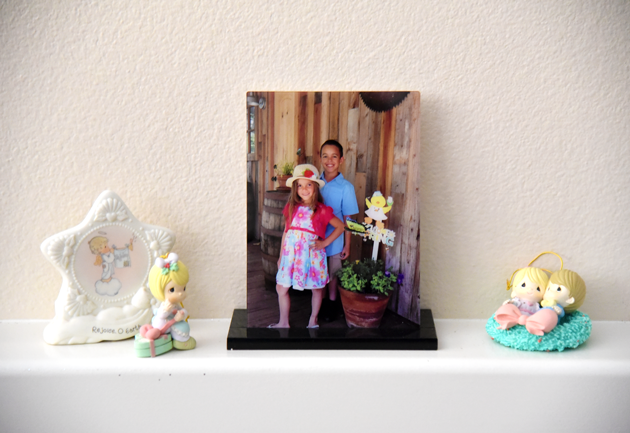 Be sure you choose high-resolution digital photos to ensure that your print is crisp. 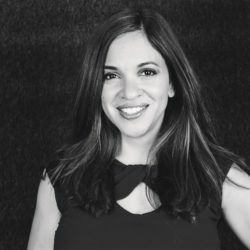 You’ll also want to do any editing ahead of time, since the online editor only allows for simple alterations such as scaling and color correction (for an additional fee). Choose a matte or glossy finish and then determine if you’d like a clear border or prefer to go borderless. 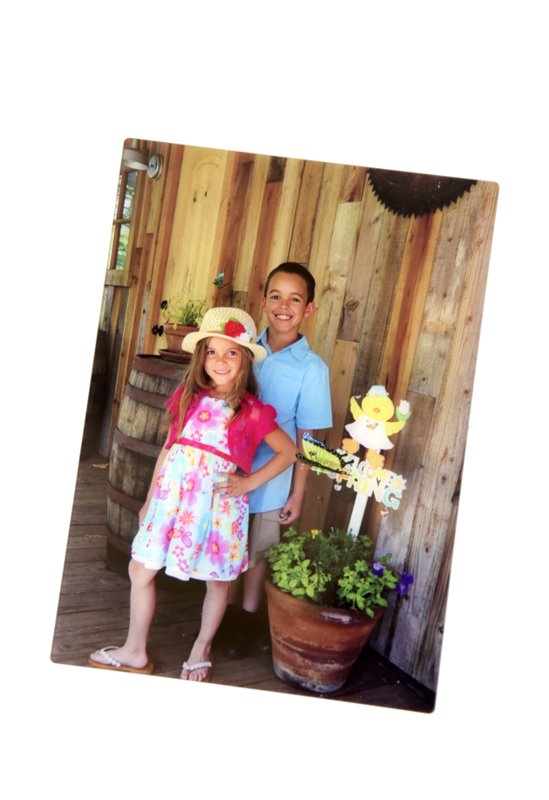 Your print includes velcro stickers for wall display and a clear or black acrylic stand. 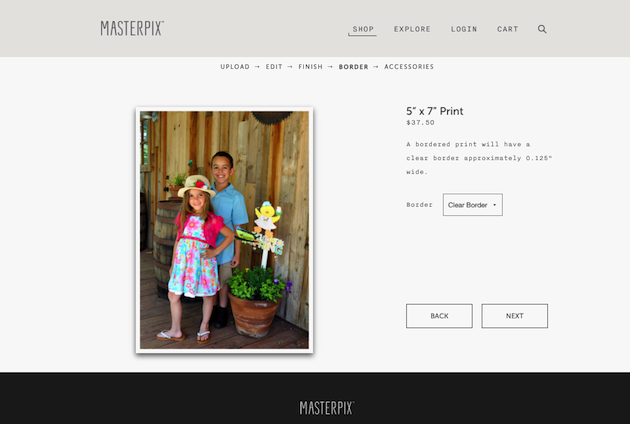 MASTERPIX also offers bamboo stands, metal brackets, and wooden storage boxes for an additional fee. I received my print in 2 business days and the result is absolutely stunning. 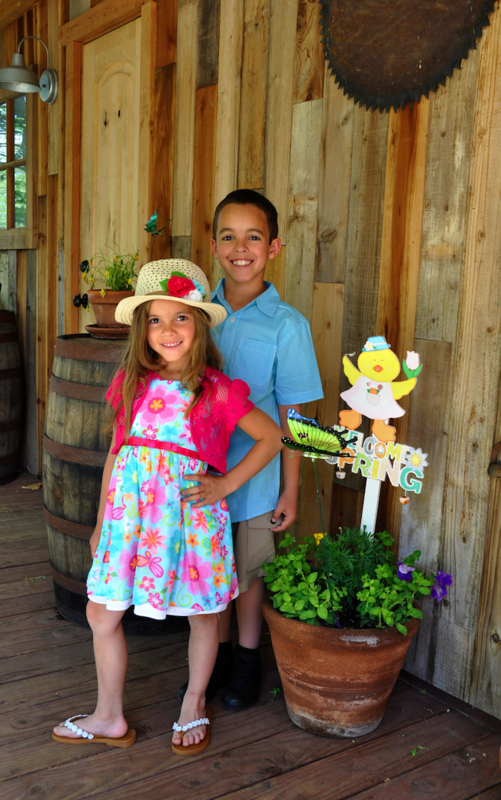 The image is vibrant and beautiful, bringing the photo of my kids to life. I decided to display the print on my mantle, however, you can easily secure it on a wall, a refrigerator, a bookshelf, an nightstand or a desk. 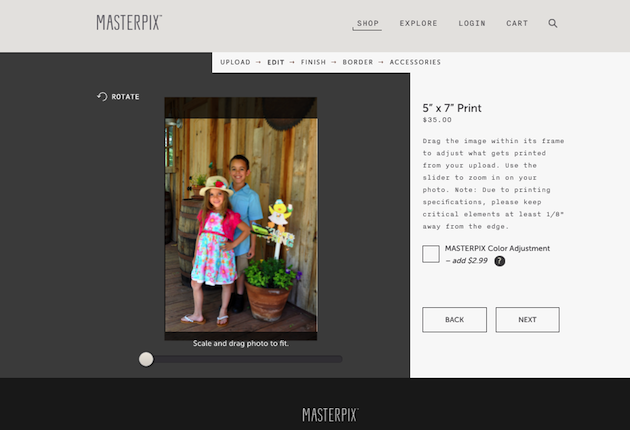 If you’re looking for the perfect gift this holiday season, or a unique way to showcase your favorite photos, MASTERPIX offers a beautiful solution. I plan to gift these to my kids’ grandparents! Through December 25th, 2016, you can save 10% on orders over $75 using the code HOLIDAY16. For more information, visit MASTERPIX.com.